Blood Splattered Cinema: #FearTheDarkness Poster Hits The Web! 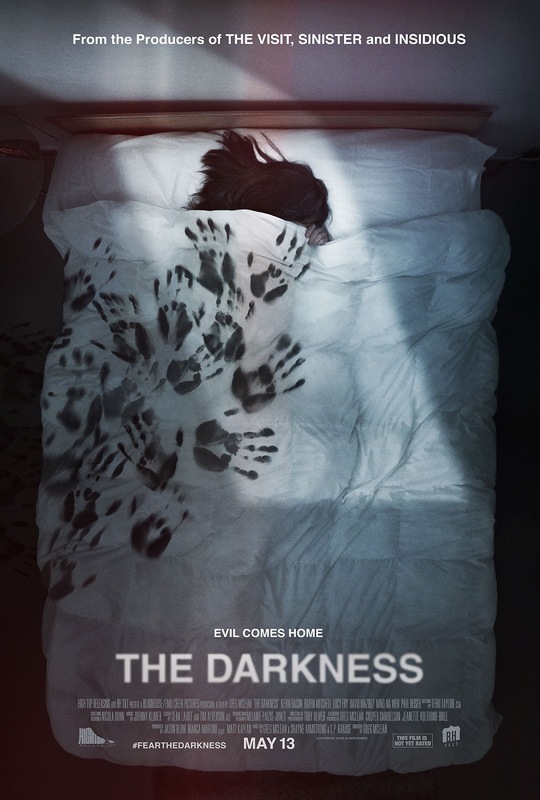 #FearTheDarkness Poster Hits The Web! A week back we at BLOOD SPLATTERED CINEMA were happy to showcase the trailer of Greg McLean's supernatural spookfest THE DARKNESS. Good night, sleep tight, don't let the hand prints bite! In all seriousness though, while I dig this poster, it does remind me a bit too much of the other movies mentioned at the top. I hope this merely a marketing tactic and that the movie does stand on its own come release, but only time will tell. Enough of my dumb opinions though, what do YOU think? Chime in using #FearTheDarkness or @BHTilt on Twitter and in the comment section below if you so wish. Let your voice be heard, damnit! 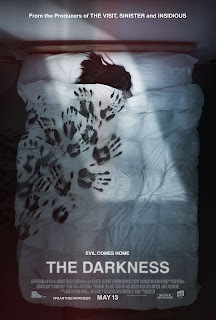 THE DARKNESS hits theaters May 13, 2016, was written by Shayne Armstrong, Shane Krause & Greg McLean, directed by Greg McLean, released by Blumhouse Tilt and stars Kevin Bacon, Radha Mitchell & David Mazouz.